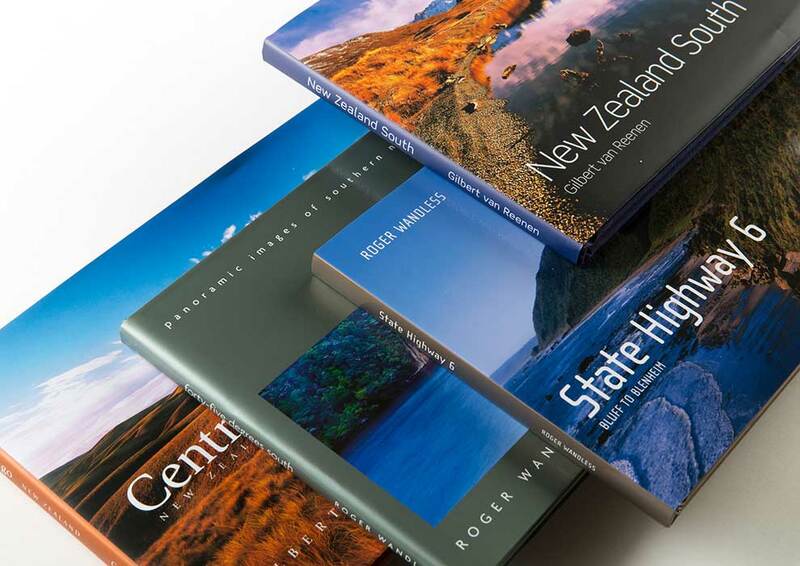 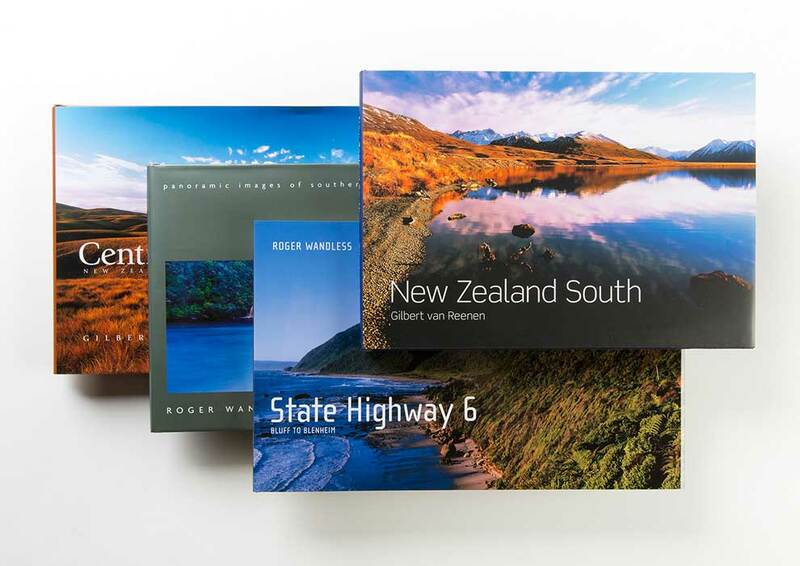 Four self-published books of sublime New Zealand landscape photography. 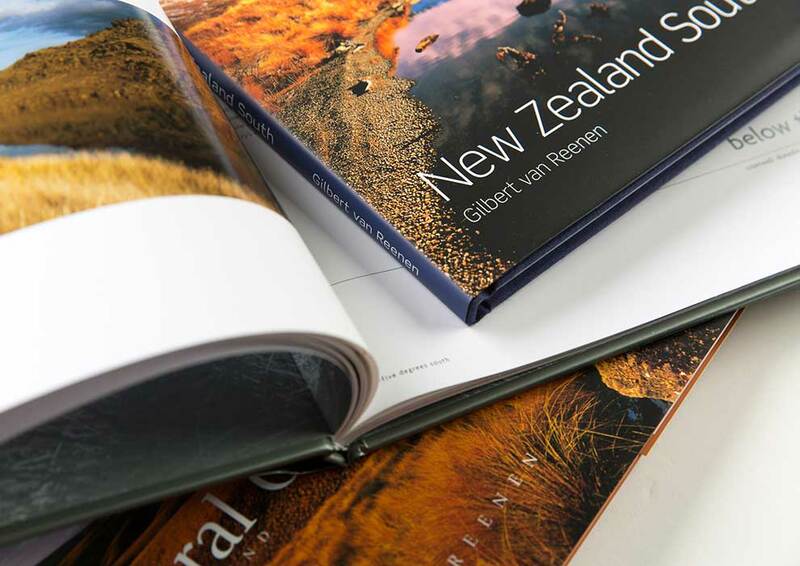 ‘Central Otago’ 2004 and ‘New Zealand South’ 2005 by NZ photographer, Gilbert van Reenen and; ‘Forty-Five Degrees South’ 2006 and ‘State Highway 6’ 2007 by NZ photographer, Roger Wandless. 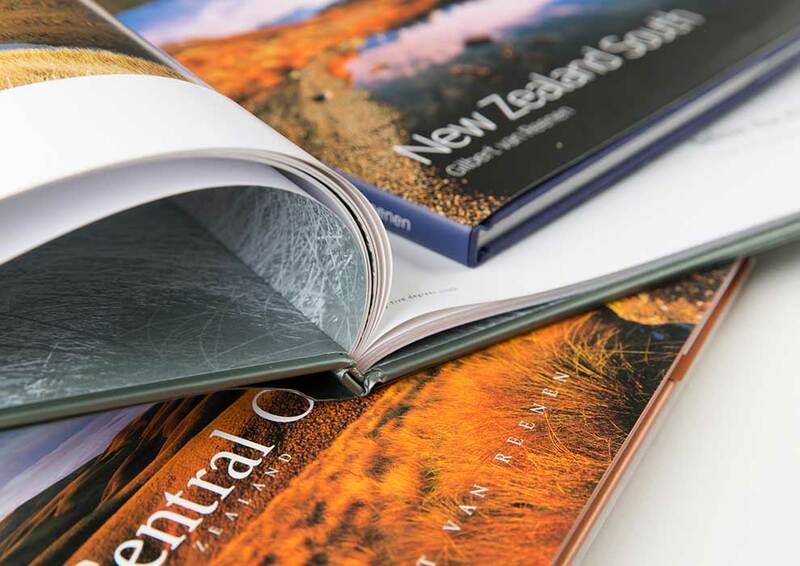 First edition of ‘Central Otago’; ‘Forty-Five Degrees South’ and ‘State Highway 6’ printed by Adams Print. 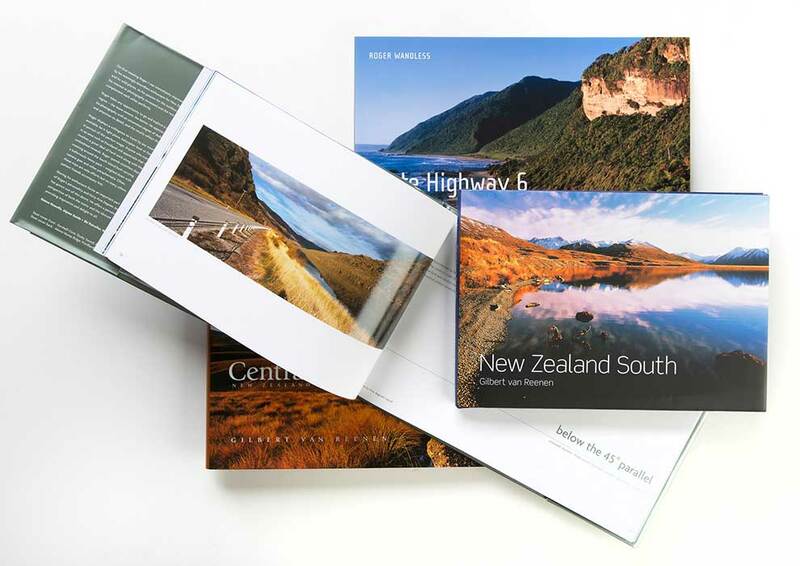 ‘State Highway 6’ awarded a bronze medal in the casebound book category at the National Print Awards, 2008.